Helping you with everyday legal matters. When your family is in crisis, you can count on the family law attorneys at ES Gallon and Associates to help you through tough times. Our family law attorneys are highly experienced. They will work hard for you to make sure you are vigorously represented. And they will do their job with the kind of compassion and caring that is part of the ES Gallon way of doing things. Quite a few visitors to our website are looking for information about divorce lawyers in Dayton, the Miami Valley and Southwest Ohio. So let’s take a moment to talk about finding a divorce lawyer. This is a very difficult step for many people to take. Perhaps you had been hoping for a long time that things might get better between you and your spouse. Now you’re approaching the point where you think that things might never improve. Our divorce attorneys are highly experienced at helping you understand just what divorce might mean for you. They also know that this can be a horribly difficult decision and will treat you with the utmost respect and kindness. And remember this, too: Talking to one of our divorce lawyers does not mean you are committing yourself to getting a divorce. We have worked with a number of clients over the years who have talked to one of our divorce attorneys and decided to take a different approach to their marriage problems. Our divorce lawyers want only what’s best for you and will work closely with you to help you find the path that is best for you. But if you do decide that divorce is the solution, you can rest assured that our divorce attorneys will work diligently to make sure your rights are fully protected. You will not be alone during this difficult time – you will have an experienced ES Gallon divorce attorney on your side. DUI/OVI charges are serious – you might need an attorney. Operating a motor vehicle under the influence of drugs or alcohol is a very serious offense. It’s a first degree misdemeanor, it carries six months in jail a $1050 fine, and a six month to three year license suspension. These can have serious consequences on your life, can be very expensive and can cause you to lose your employment in some cases. If you have been charged with drunk driving, and you have need for an attorney to help with DUI / OVI charges, please contact us so that we can explain to you what happens in these situations, how the courts operate and what we can do to help you through this process. Don’t face this alone. A DUI / OVI charge is a very serious charge and can change your life forever. Get the help of an experienced attorney. If you are facing drunk driving charges. If you have been charged with driving under the influence (DUI), you probably already know that you could be in a great deal of trouble. Penalties for driving under the influence have been stiffened over the past years, so you could be facing very serious consequences, including loss of driving privileges and even prison. Every DUI situation is different. Your case is not the same as anyone else’s, which is why you need an attorney who is fully versed in the law related to driving under the influence. Call ES Gallon today to make sure your rights are being protected and be sure to watch the following video from Attorney Marty Malloy. 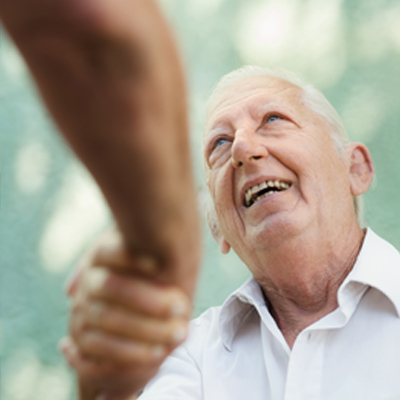 Wills, Trusts, Living Wills, and Power of Attorney. None of us likes to think about the inevitable – that there will come a time when we, too, will pass on. How will your loved ones be protected? Will everything be in place for them to continue living their lives in the way you would like them to? Have you been putting off getting a will? Have you neglected to set up a durable power of attorney or living will so that your wishes are made completely clear to family, friends and medical providers? From years of family law experience, we can tell you that you are definitely not alone – it’s very common for people to want to avoid this vital task. We Make It Easy to Plan Your Estate. Part of the reason many of us put off getting a will, setting up a durable power of attorney or establishing a living will is that it all seems so complicated. Our family law attorneys have helped people just like you all around Dayton, the Miami Valley and Southwest Ohio take care of these vital tasks – and made the whole task as easy and hassle-free as possible. Wherever you live in the Dayton, Ohio, metropolitan area, you’ll find that our central location makes it easy to get to our offices. We are close to Route 35, Interstate 75 and Route 4. We are just minutes away from Interstate 70 and Interstate 675. Plus, we have our own parking garage right in our building – which means you can just about drive up to our door! So don’t put off these vital estate planning responsibilities any longer – call a family law attorney at ES Gallon today. And then check estate planning off of your list of things to worry about! If you’re planning to buy property, it’s best to have your attorney review the documents before you sign anything. If you’re signing a purchase contract, you want to make sure that you understand the terms: how much your mortgage has to be, how much you have to put down, etc. If you’re facing any of these charges, you might also be facing serious jail time. Don’t face charges like driving under the influence (DUI) without a seasoned attorney by your side. ES Gallon attorney Martin Malloy can help you with all aspects of family law. What is Health Care Power of Attorney? What is Joint Survivorship Deed? Divorce and and dissolution of marriage. Legal options after divorce or dissolution. DUI/OVI - consequences and liabilities.